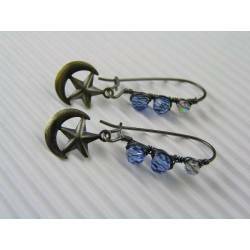 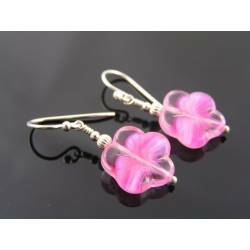 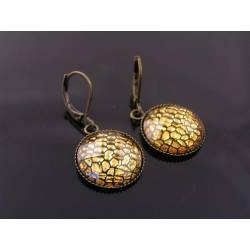 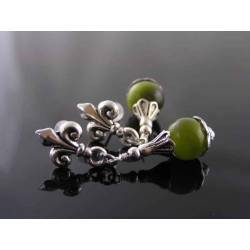 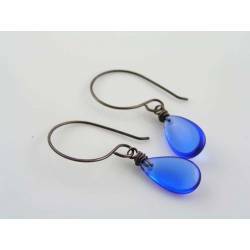 These are very cute little Czech glass button earrings. 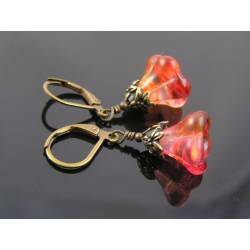 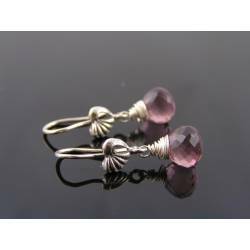 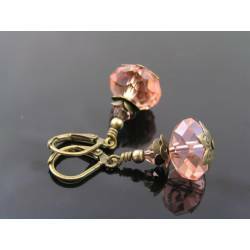 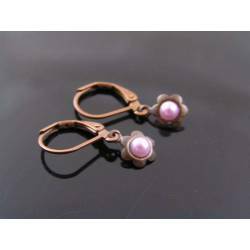 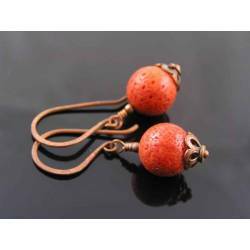 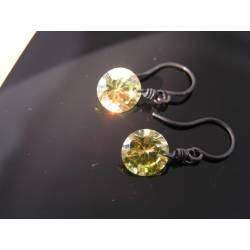 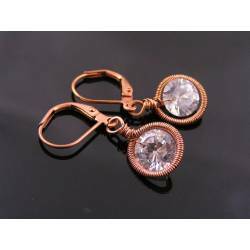 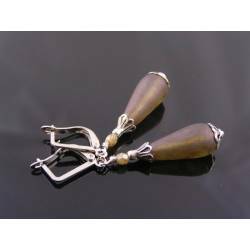 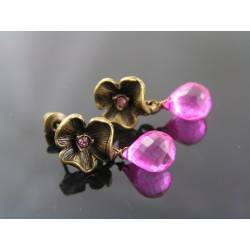 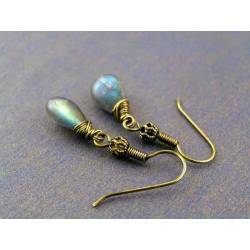 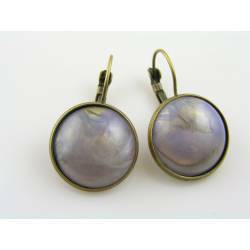 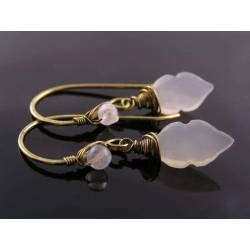 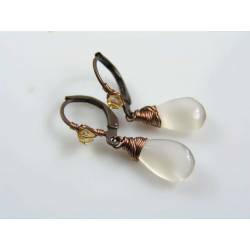 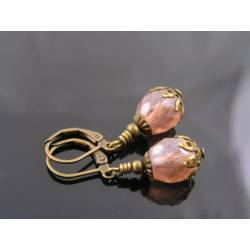 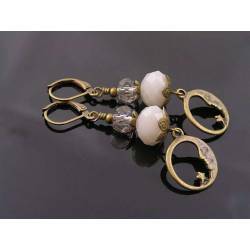 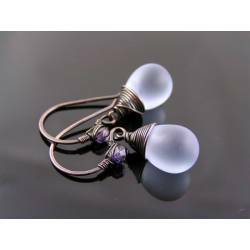 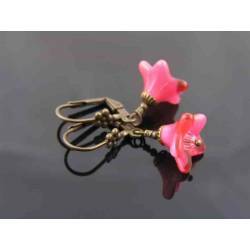 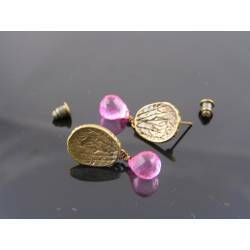 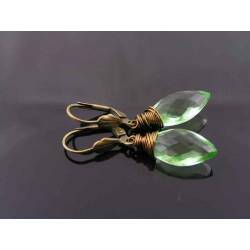 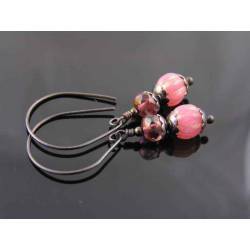 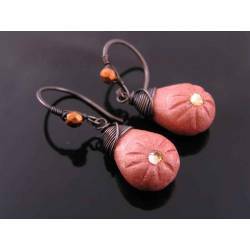 They are made similar to the old fashion sleeper (or dormeuse) style earrings with the 'gemstone' attached right to the lever back ear wires. 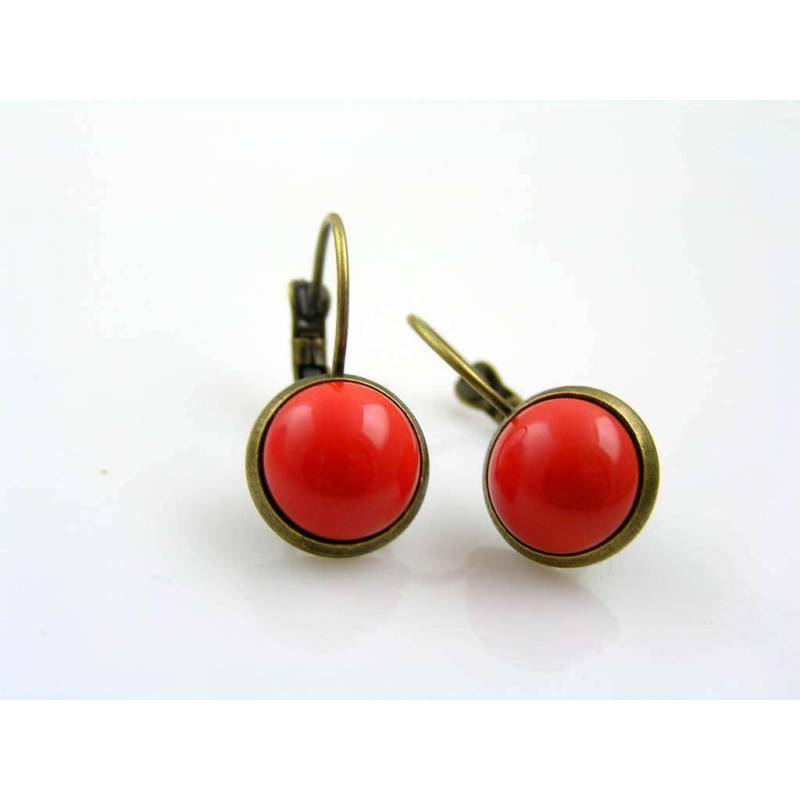 For this pair, I chose little Czech glass buttons in a bright, lipstick red coral shade. 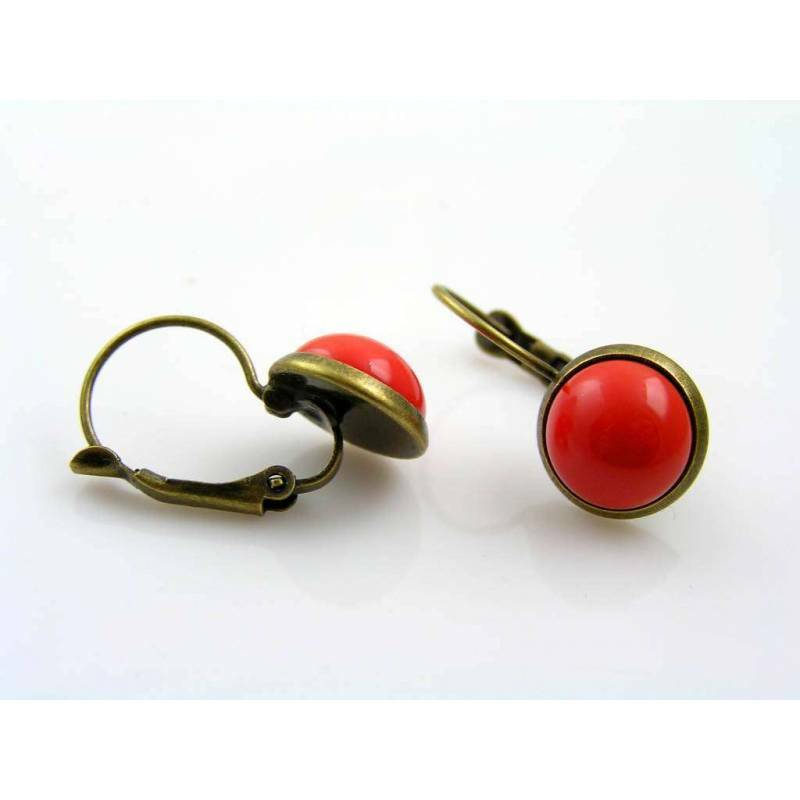 It's a very nice contrast to the old bronze/brass fittings. 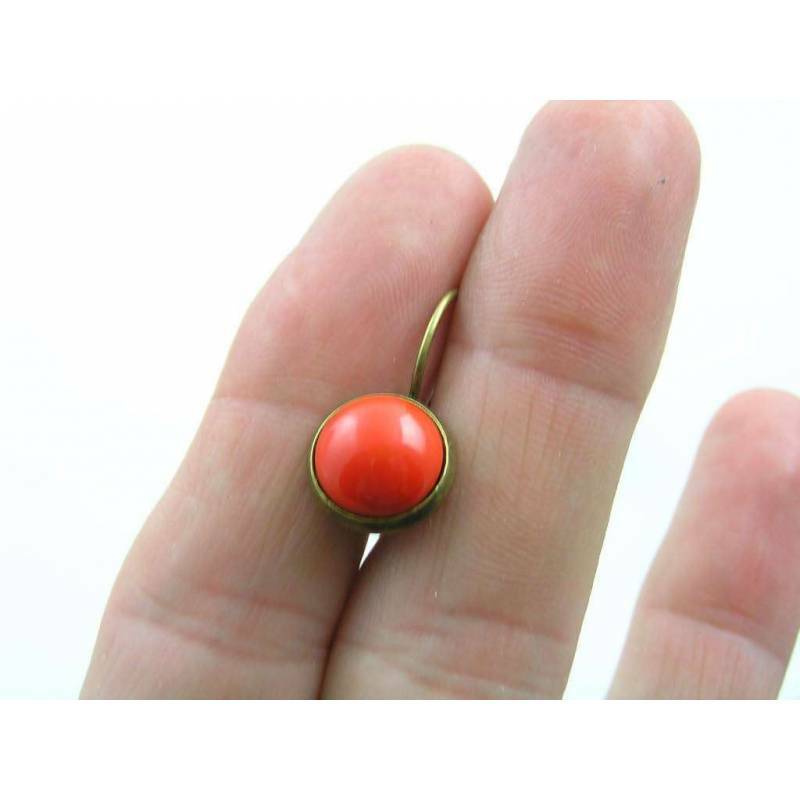 Total length is 2cm, 3/4 of an inch.